I asked my good friend and erstwhile RedState diarist Vladimir to put together a quick list of recommendations and handy links for Gathering visitors. Vladimir and I are looking forward to seeing you at the RedState Gathering 2013. We hope you have fun and enjoy the sights, sounds and tastes of this wonderful, historic city. Travel to/from Louis Armstrong International Airport will either be by cab or by airport shuttle. A cab ride costs $33.00 from the airport to the Central Business District (CBD) for one person and $14.00 (per passenger) for three or more passengers. Pick-up is on the lower level, outside the baggage claim area. There may be an additional charge for extra baggage. Shuttles: Cost $20 but make multiple stops at various hotels. In the city, there are several streetcar lines and city buses run by the Regional Transit Authority. Buses and streetcars are $1.25 one way. The historic streetcar line runs up St. Charles Avenue. Due to maintenance, I believe it is only running as far as Jefferson Avenue. It’s still worth the ride. The Canal lines run to the Cemeteries at City Park Ave. Spurs connect down Loyola Ave to the train station and out Carrollton Ave. to City Park. 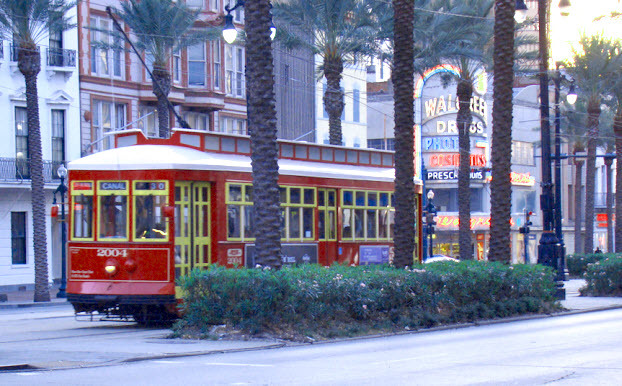 There is a Riverfront streetcar that primarily runs tourists from the French Quarter to the Convention Center, near the Warehouse District. It’s New Orleans. It’s August. Remember what PJ O’Rourke said. You’ll want to dress for New Orleans’ humid, subtropical climate. Daytime temps will be well into the 90’s and the humidity may match. 30% chance of afternoon showers every day, so pack an umbrella. Too many tourists leave with Bourbon Street as their only impression of the city. 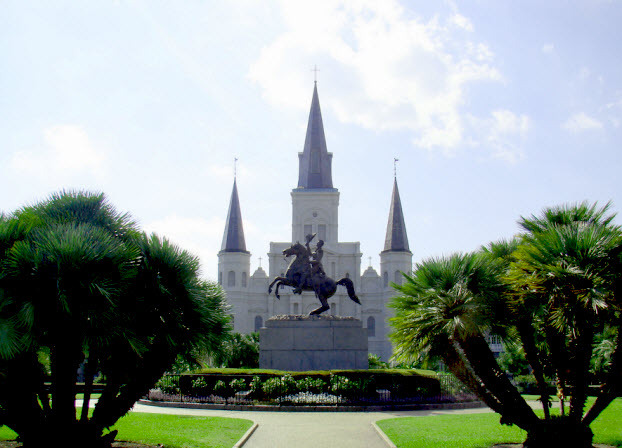 New Orleans is much more than Bourbon Street, so much more than the French Quarter. Some tourists treat the French Quarter like it’s Disneyworld. It’s not. It’s a vibrant urban neighborhood. Especially at night, and especially after midnight, it’s best to travel in groups. Or catch a cab. There are places that are within walking distance of the Westin that are not safe for a casual stroll, even in the daytime. To put that another way, if you really need to see St. Louis Cemetery No. 1 and No. 2, arrange for a professional guided tour. Ask your hotel concierges to plan your tour or to recommend a route for your walk. If you will indulge me, I’ll pass along a few personal favorites, all within six blocks or so from the Westin Hotel at Canal Place. Go to Mother’s (Poydras at Tchoupitoulas) for outstanding po-boys and plate lunches. The Ferdi is tops — a roast beef and ham po-boy. They’ll ask you if you want it “dressed”, which at Mother’s means cabbage instead of lettuce and tomato. “Debris” is the pan scrapings and gravy from the roast beef pan. The street is pronounced “chop-i-TOO-las”, just like it looks. Expect long lines; also open for breakfast. Acme Oyster House is one block off Canal, at Iberville near Bourbon. Fried seafood, shrimp, oyster & catfish po-boys. Deanie’s is one more block up Iberville, at Dauphine. Go there if you crave a fried seafood platter, onion rings and cold beer. Cafe du Monde serves hot beignets and delicious cafe au lait 24 hours a day. Don’t wear black. Why visit New Orleans and go to Starbuck’s? Cafe du Monde is across Decatur from Jackson Square. Ah! Also Central Grocery, the home of the fabulous muffaletta (pron. muff-a-LOTTA). 923 Decatur. All the places above should accommodate a beer budget. If you’re looking for something more upscale, you could do worse than Mr. B’s (Royal at Iberville; get the gumbo ya-ya), the Palace Cafe (right on Canal) or the Bon Ton Cafe. 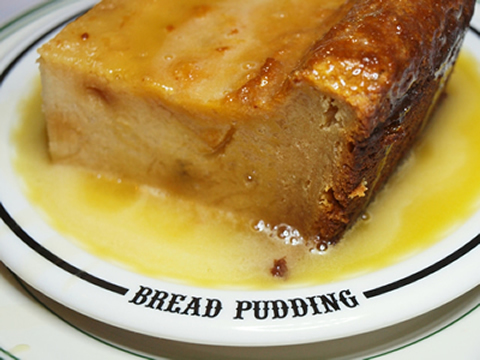 If you go to the Bon Ton and don’t get the bread pudding with whiskey sauce for dessert, please don’t tell me; it will break my heart. Beyond that, when it comes to restaurant recommendations, you can’t really go wrong with local food critic Tom Fitzmorris, who has been commenting on the local food scene since the 1970’s. Then there are the Times-Picayune’s Guides to Restaurants, Bars and Live Music Clubs. My bottom line advice in this department is that you will be rewarded by stepping out of your comfort zone and being adventurous. Chefs in New Orleans know how to handle seafood like nowhere else. The Garden District (accessible by St. Charles streetcar) Stretches of Prytania Street are particularly beautiful. (Near Lee Circle in the Warehouse District) Highly recommended. Ranked #7 museum in the U.S. and #14 in the world by TripAdvisor. This entry was posted in New Orleans and tagged RedState Gathering, RSG2013. Bookmark the permalink. Steve, this is Frank Donze, communications director at the Audubon Nature Institute. Thanks for including the Audubon Aquarium of the Americas and the Butterfly Garden and Insectarium in the New Orleans roundup. 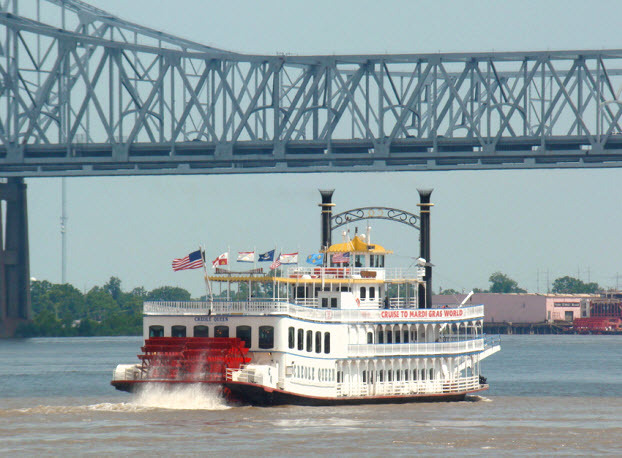 A favor please: the Zoo Cruise from the French Quarter to the Zoo is no longer in operation. If possible, could you delete that mention.